Congratulations! You’ve taken the first step toward home ownership, and at Keller Williams, we understand buying a home is a big deal. Purchasing a home can be both exciting and overwhelming, and at KW Hill Country, we want to supply you with the information needed to make buying your dream home a reality. 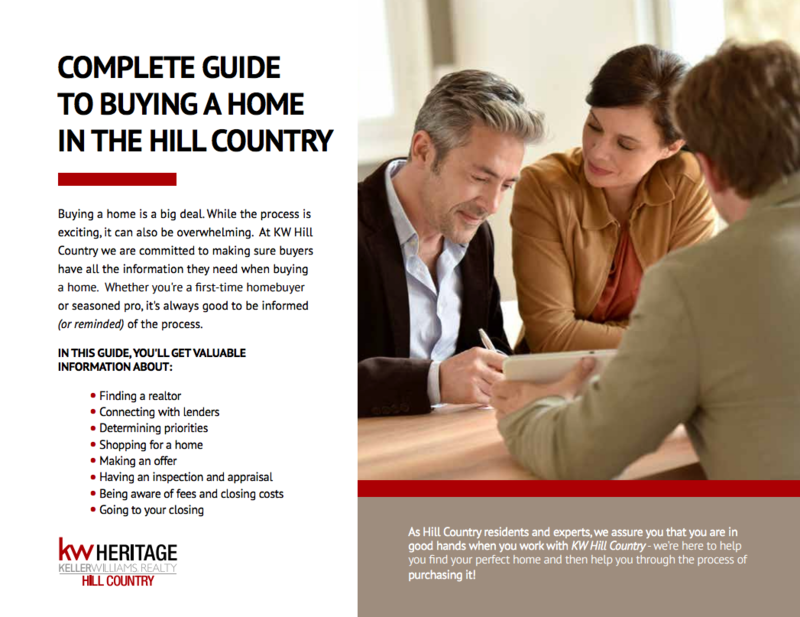 Whether you’re a first-time homebuyer or seasoned pro, our exclusive Guide to Buying a Home in the Hill Country is designed to help you make your home buying experience as smooth as possible. Investing in Texas Hill Country real estate is a big decision! Your REALTOR® should understand your preferences and guide you efficiently through the decision-making process. While we love sparkling sheen of brand new subdivisions, sometimes the best communities reflect the familiar, rustic elegance that makes the Hill Country so alluring in the first place.